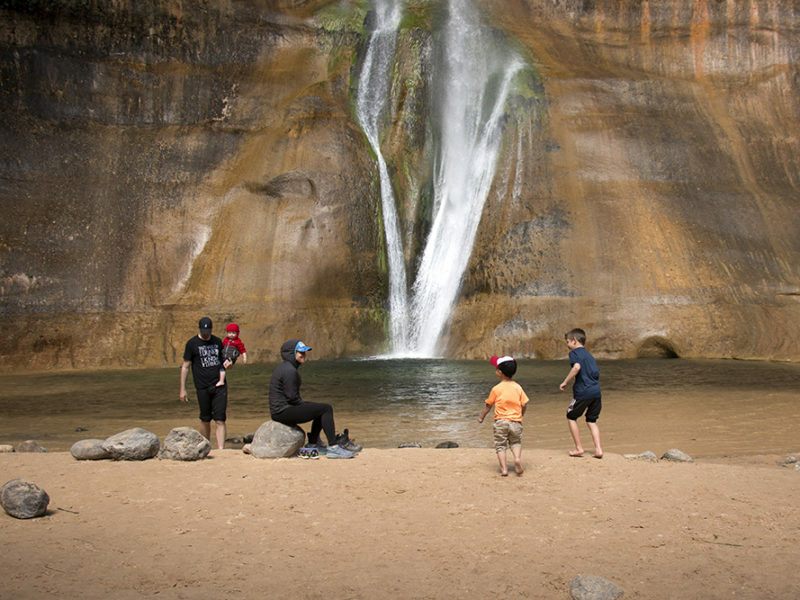 Lower Calf Creek Falls is a fantastic trail for older kids and families that meanders through a beautiful canyon and ends at a breathtaking 126 foot waterfall. 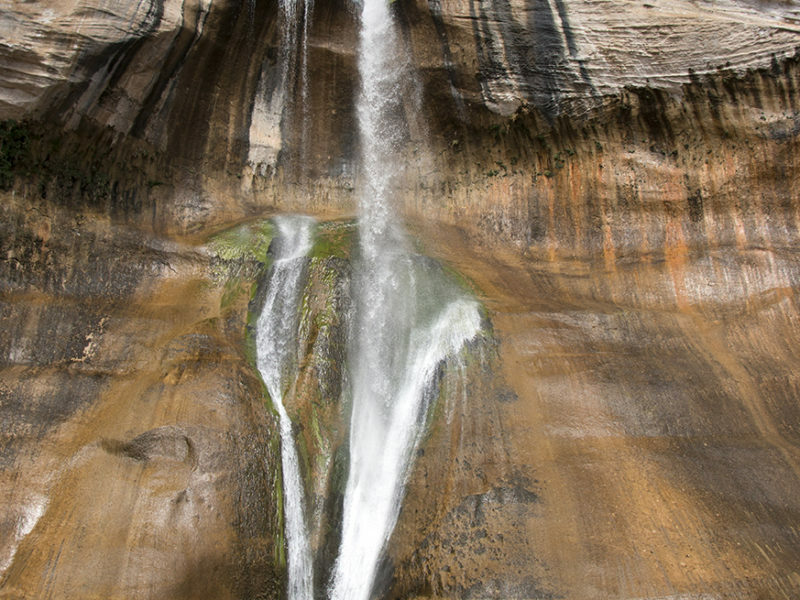 The waterfall descends into a pool that’s wonderful for swimming when the weather is warm enough; the water is cold! This trail is recommended for older kids and babies riding in carriers simply because of the length; it’s approximately 5.5 miles roundtrip. 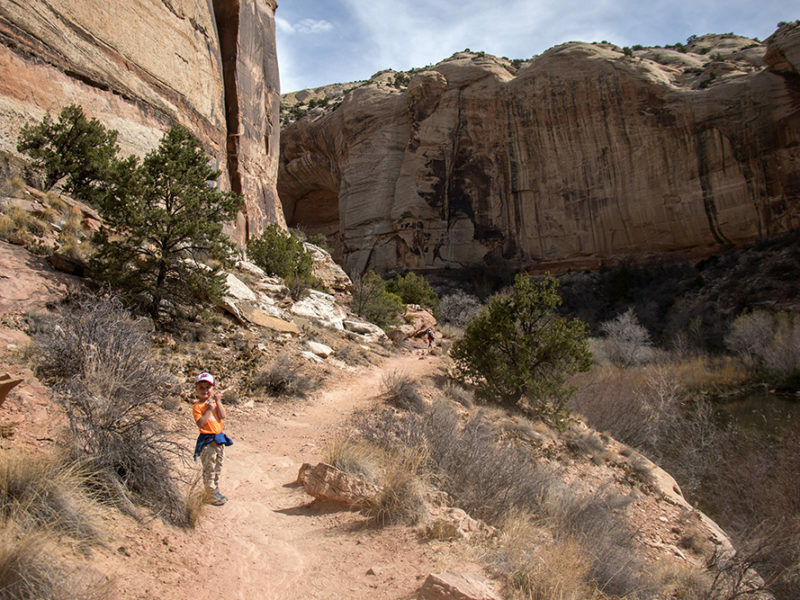 The trail is not technically difficult, it’s mostly flat as is weaves through a tall canyon with a stream in the middle. 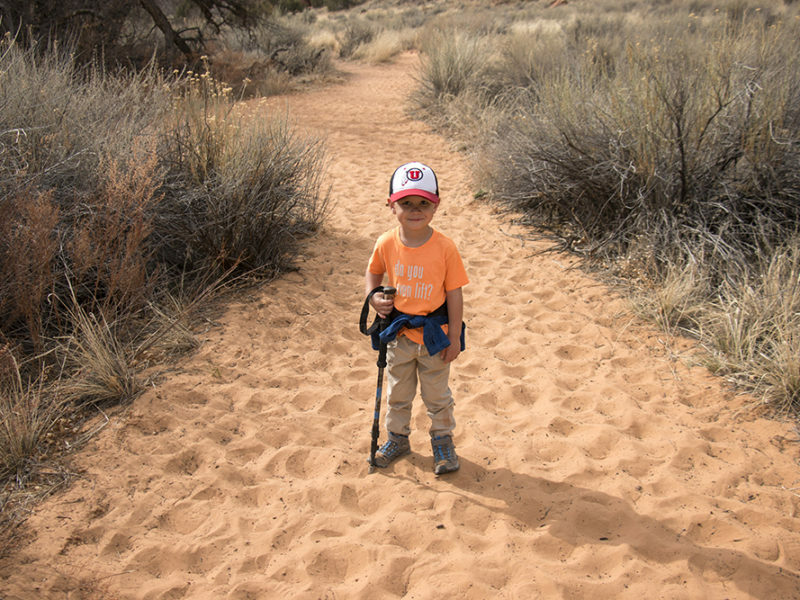 There are stretches of trail in soft sand that can be difficult for young walkers. In a few spots there are trail markers to indicate something unique to see on the trail. 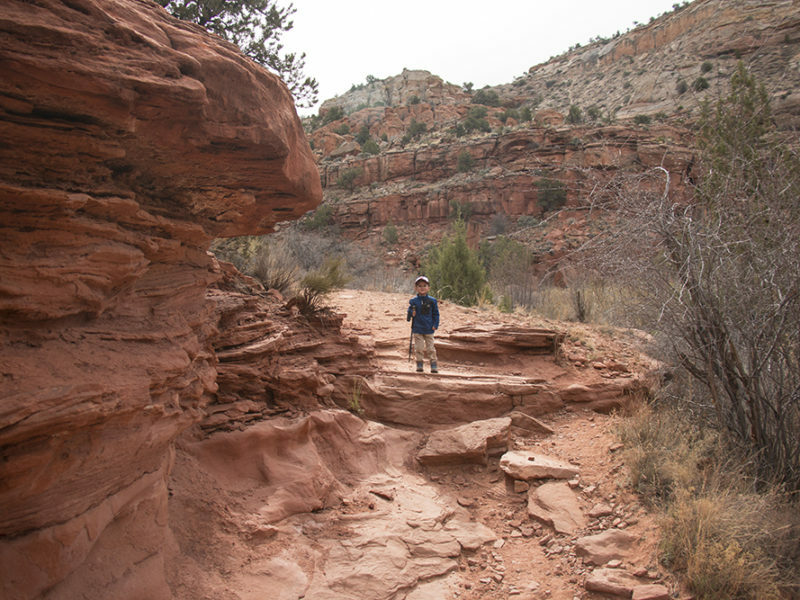 In one spot you can see thousands-year-old pictographs on the opposite canyon wall. 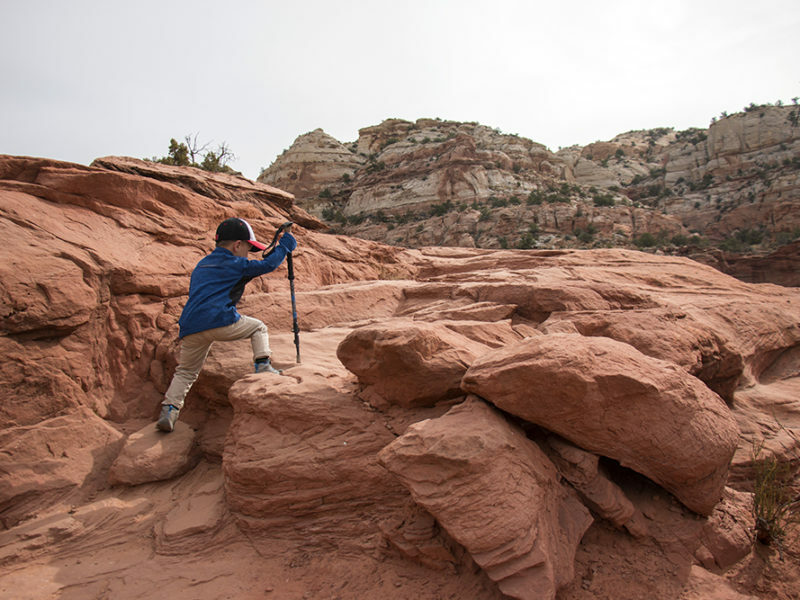 In the summer, temperatures can easily reach over 100°, so be sure to bring lots of water if you hike in the summer. It’s a really beautiful hike, especially if you can get there when it’s not quite so hot. When you reach the falls, there are lots of shade trees and plenty of space to enjoy a picnic. There are restrooms at the trailhead too. There are some picnic tables at the trailhead along with restrooms. I don’t know if the restrooms are closed in the winter. 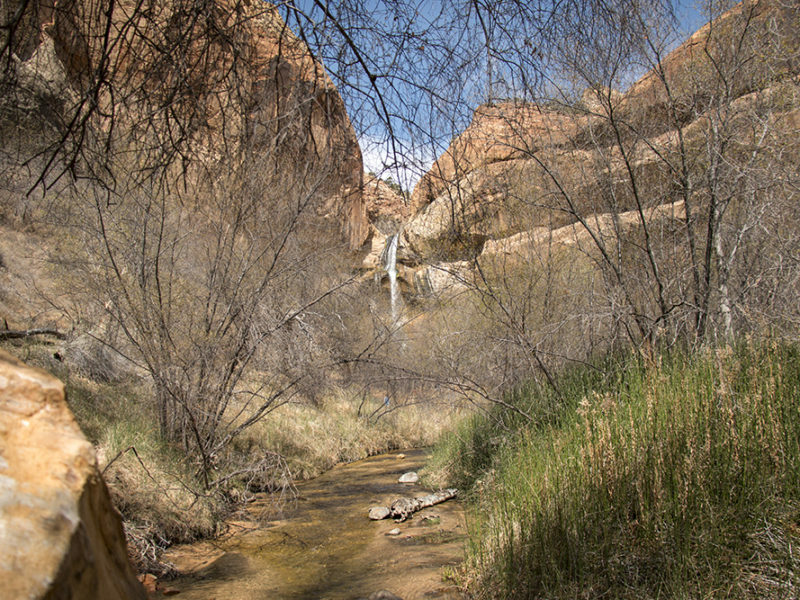 At the falls, there is lots of open space to have a picnic. In the summer, temperatures can easily reach over 100°. 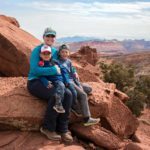 If you hike this trail in the summer, be sure to bring lots and lots of water. There is a $5 fee to explore the area. Payment is made with envelopes at the trailhead.